A Private View of Italy encourages guests to appreciate the life of historic palaces and villas, and allows them to discover the inaccessible treasures that are hidden behind closed doors. 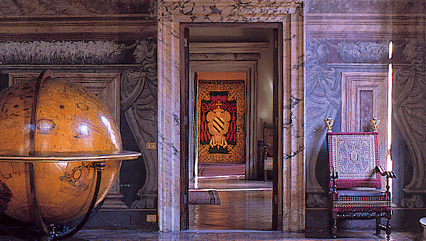 Through the centuries the Italian aristocracy has preserved their residences, which were designed to receive guests by architects like Raphael, Palladio, and Bernini. Inspired by the 18th century Grand Tour, art historian Stefano Aluffi-Pentini founded A Private View of Italy in 1996. Thanks to his trusted interactions and friendships with these families, guests are welcomed in extraordinary places, often by the homeowners themselves. Homes that still house masterpieces by Caravaggio, Guido Reni, or Canova provide the perfect setting for intimate receptions, dinners, and events of any kind. One can still admire the original furnishings created for these homes, or enjoy the same garden that was designed for the delight of its owners and for entertaining guests.